Here it is! 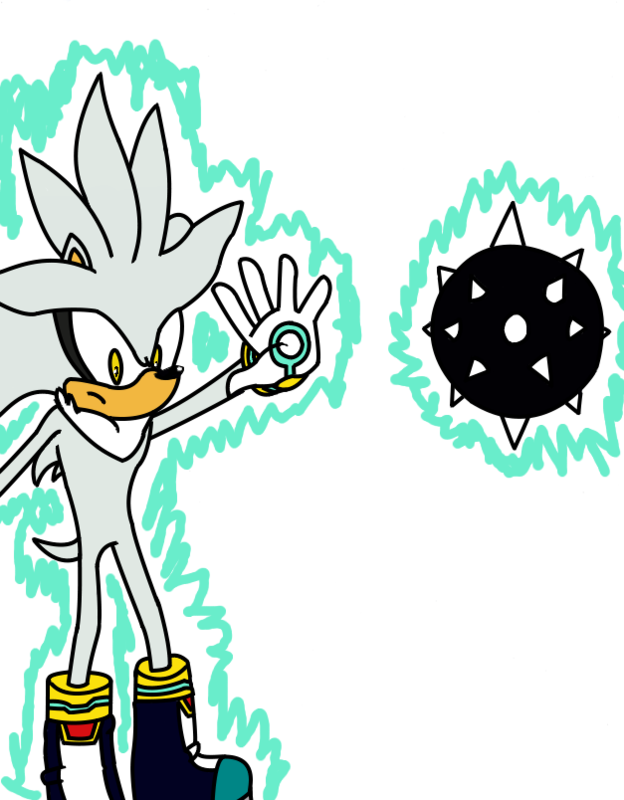 Silver using one of those spike ball thingys in Sonic 06. I drew the ball from my vague memory and after seeing a video of the game I realize there aren't so many spikes and the spikes are like twice that size.